What are the preloaded Rear Camera modes that comes with Note5? 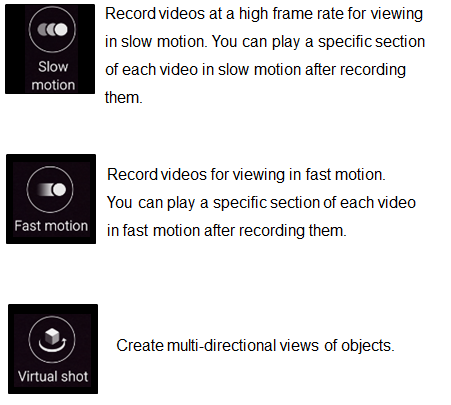 Fast motion; Virtual Shot Camera mode is supported. How do I take images by Selfie mode using front camera on the Galaxy Note5? How do I use the Live Broadcast feature on the Galaxy Note5? Does video resolution change automatically by network state on the Galaxy Note5?